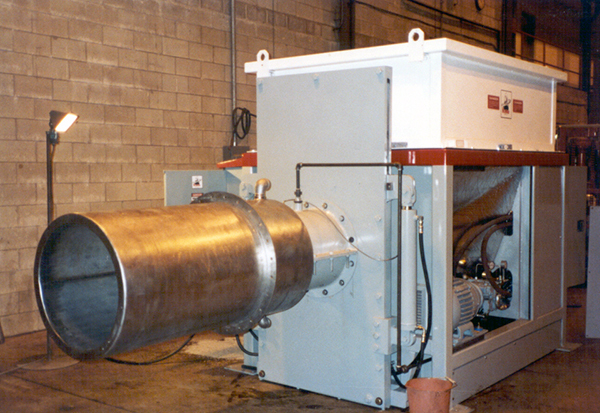 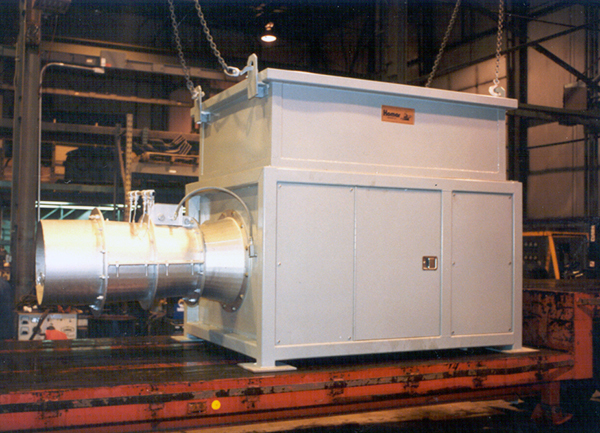 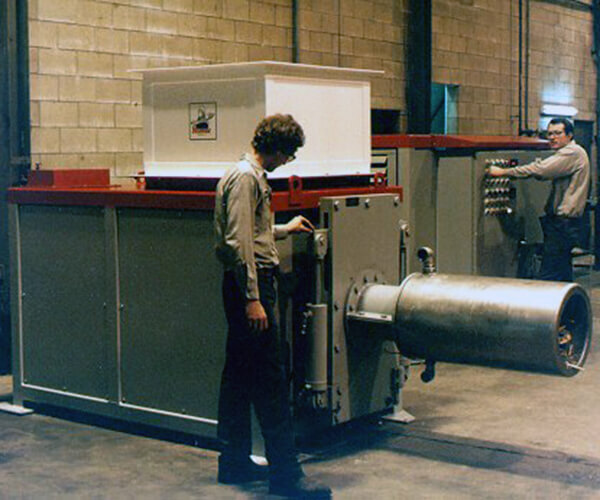 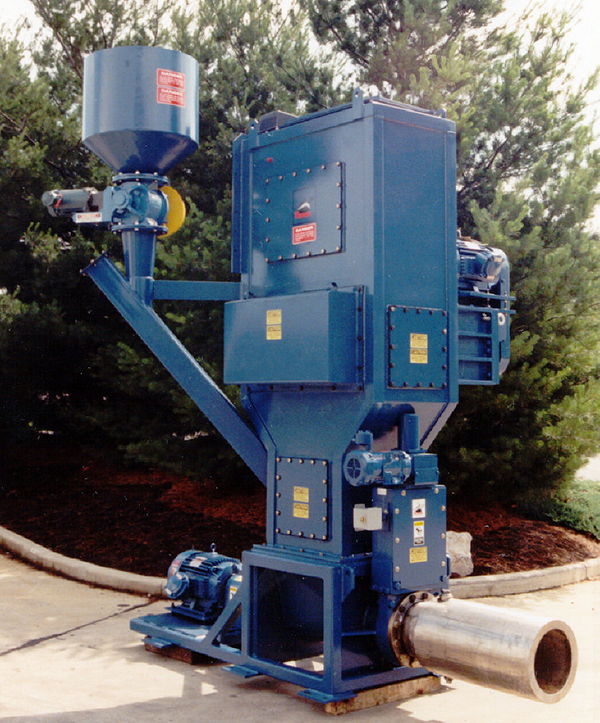 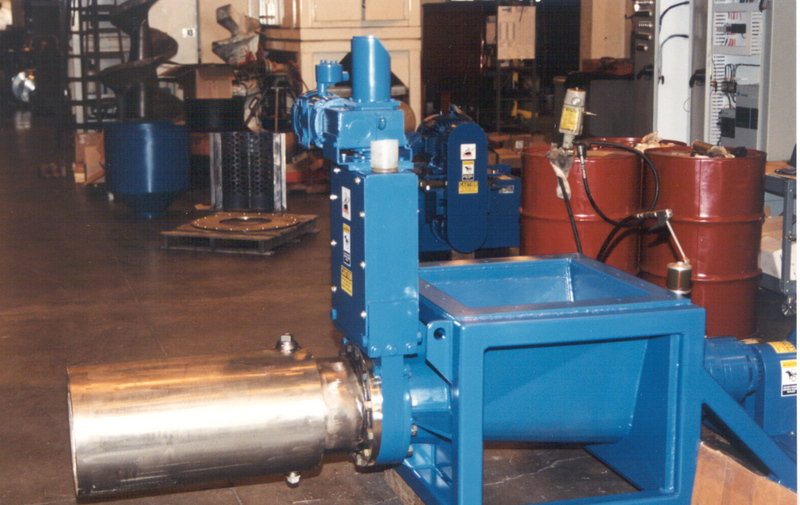 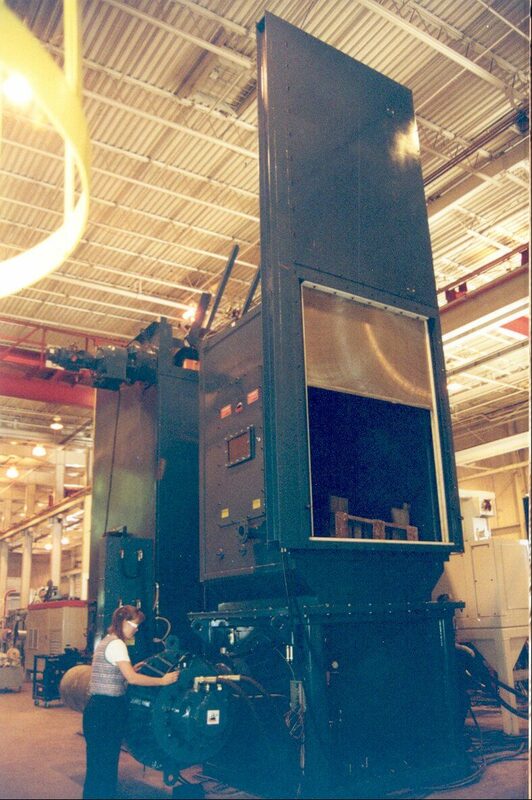 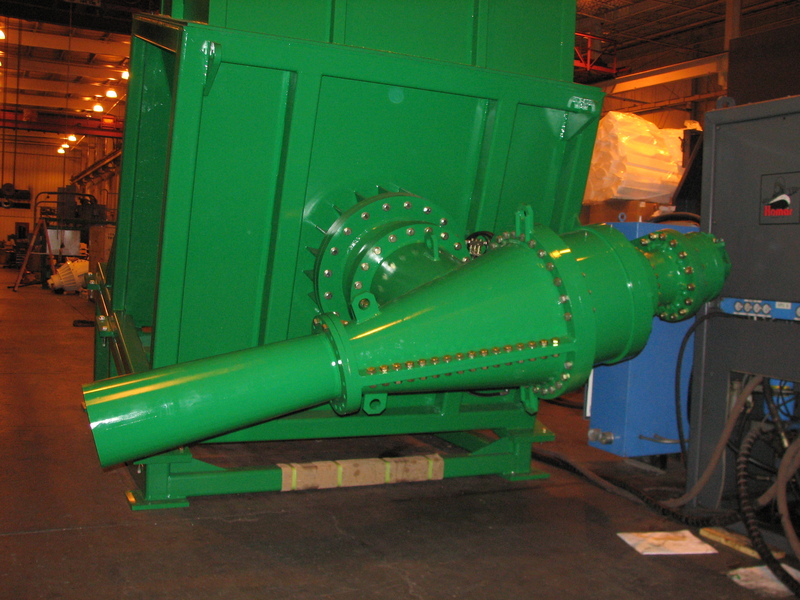 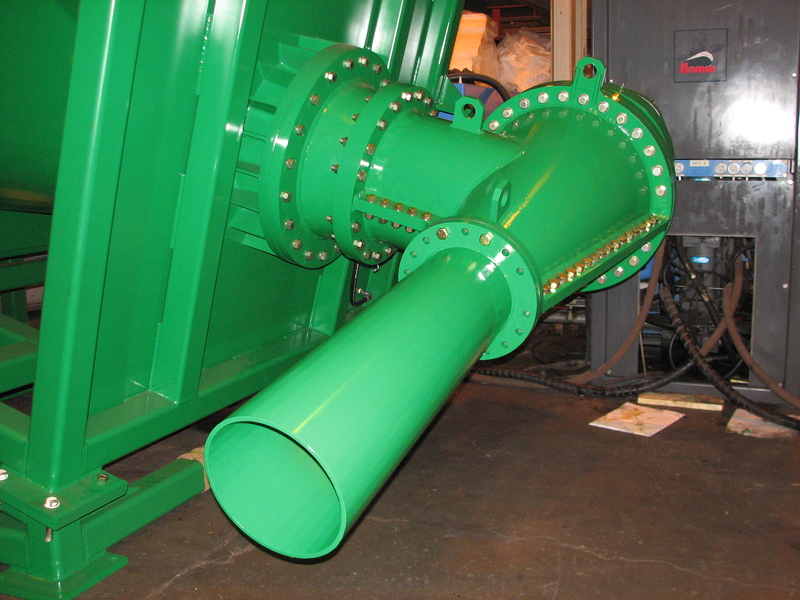 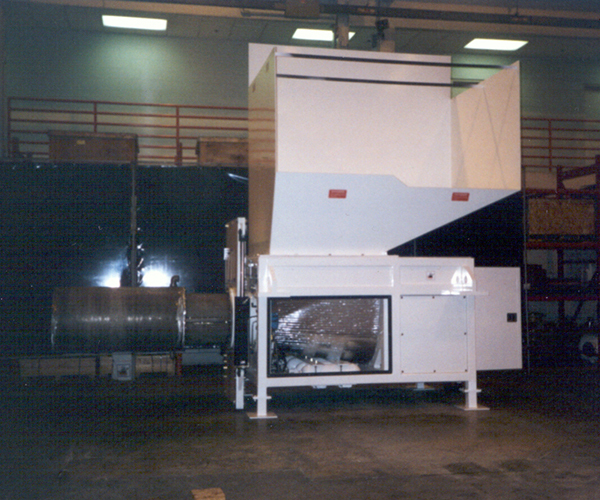 The Komar continuous plug feed systems offer the unique ability to provide a metered feed while eliminating air transfer thru the feeder. 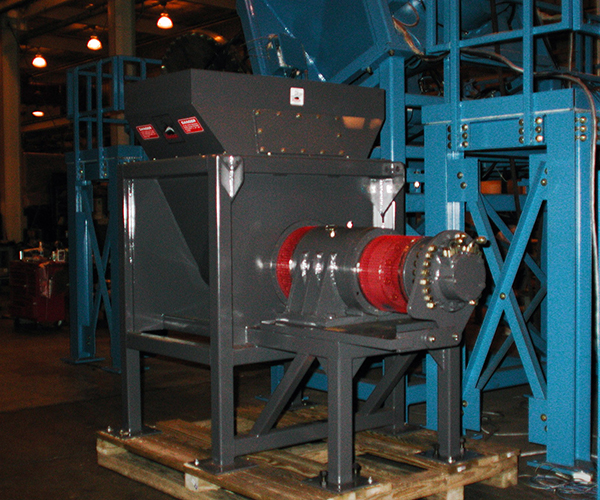 Our feeders utilize the extruded material to generate the air seal and provide unmatched feed control. 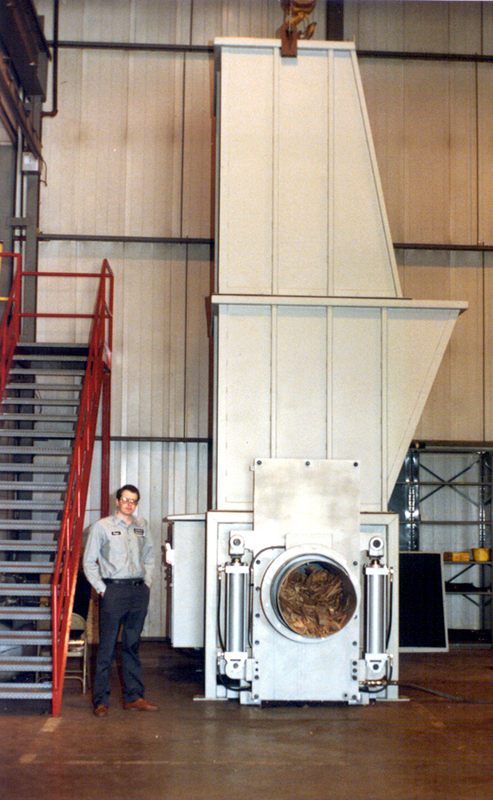 Developed for feeding incinerators, and proven for more than 30 years in difficult applications such as hazardous and radioactive waste. 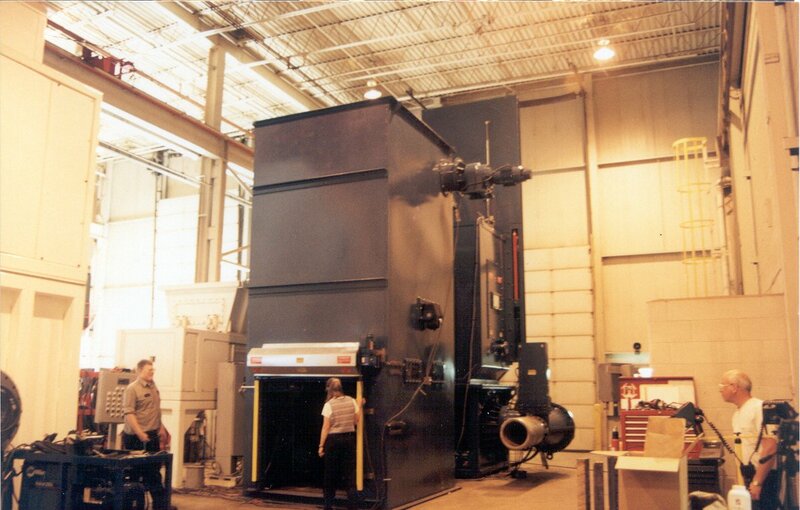 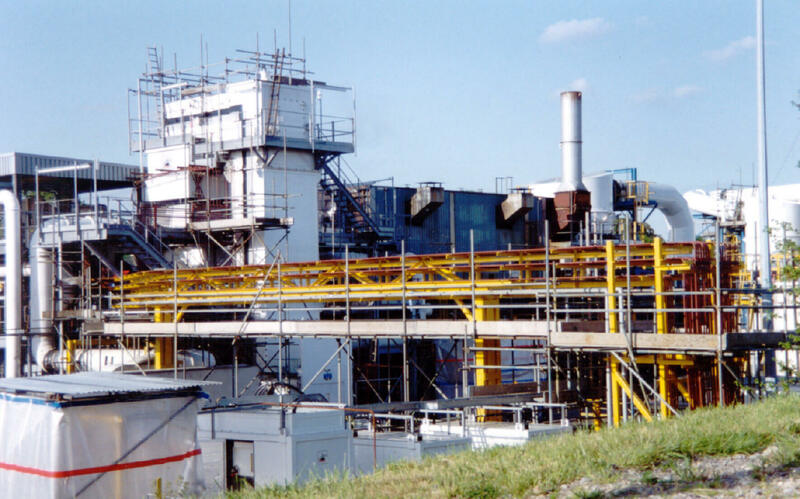 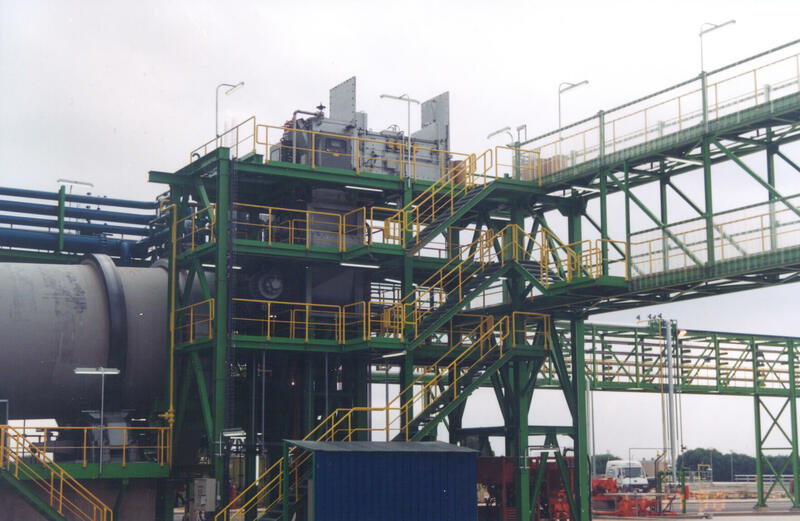 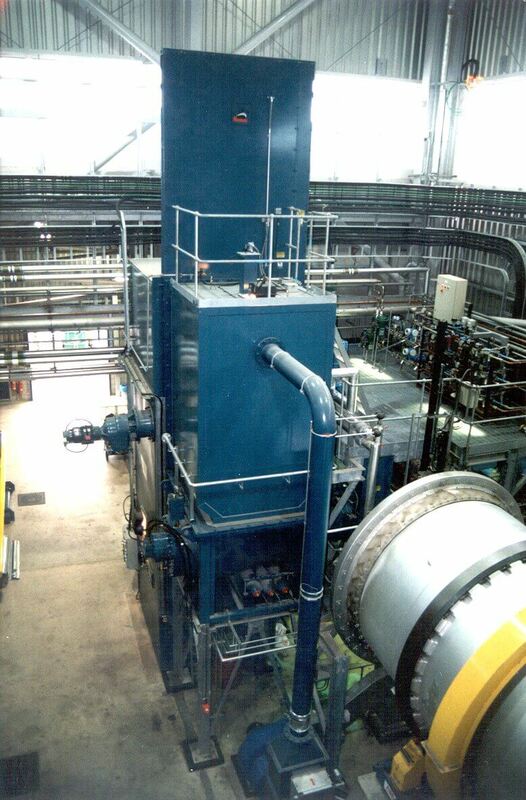 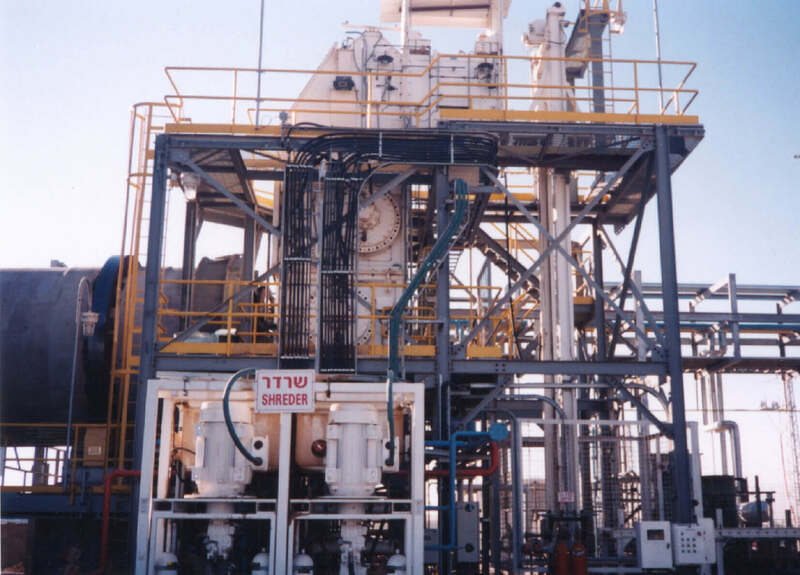 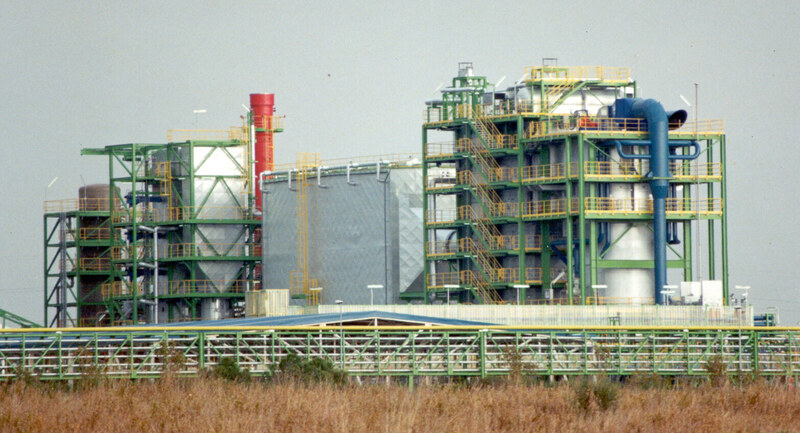 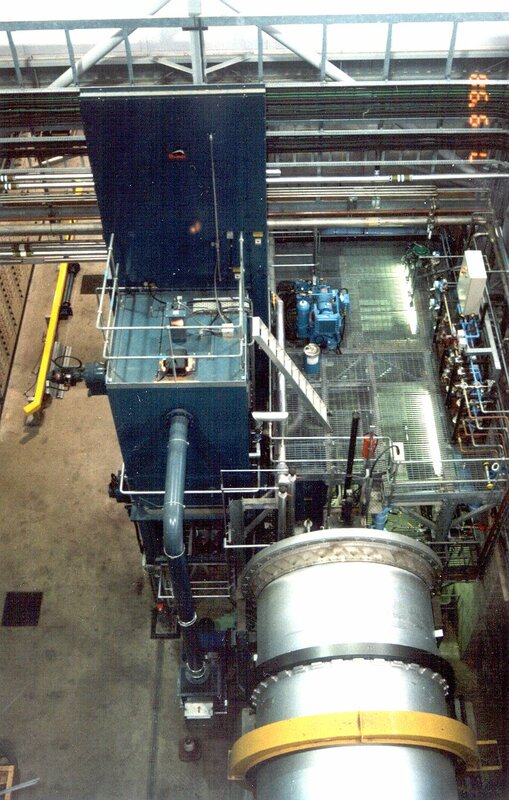 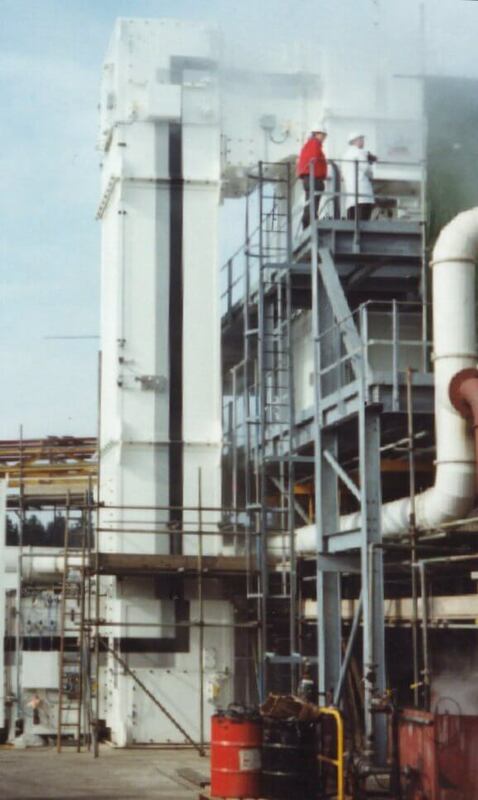 The systems have also been adapted to plasma, gasification, pyrolysis, and waste to energy applications. 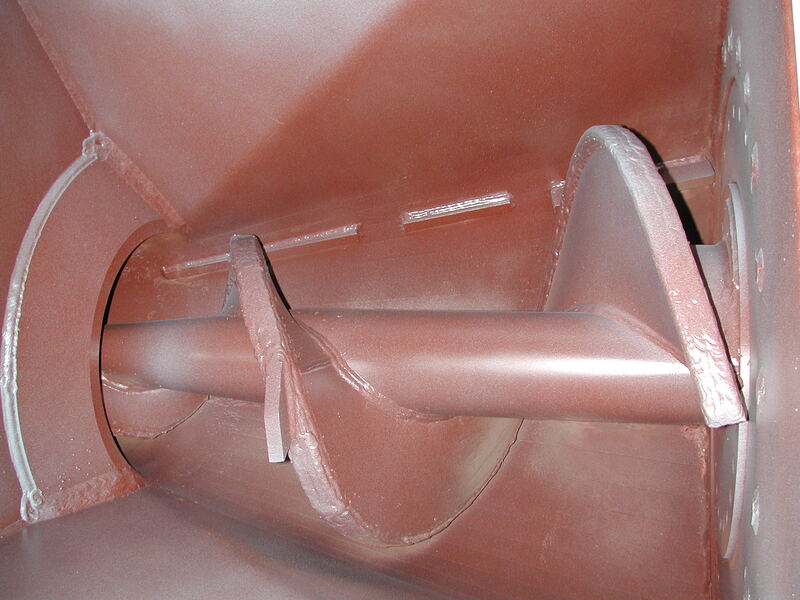 *Designs can vary based on material and application. 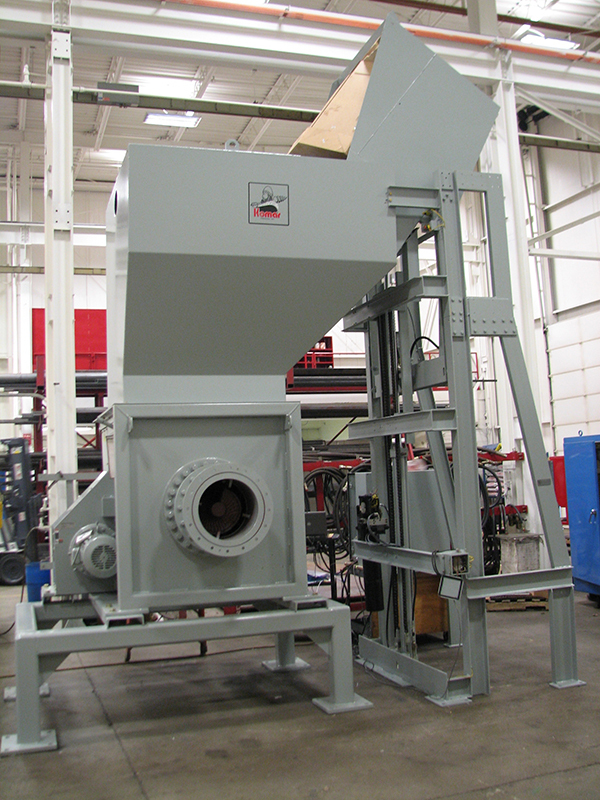 Can handle a wider variety of material types and volumes than electromechanical feeders, while still maintaining the selected feed rate. 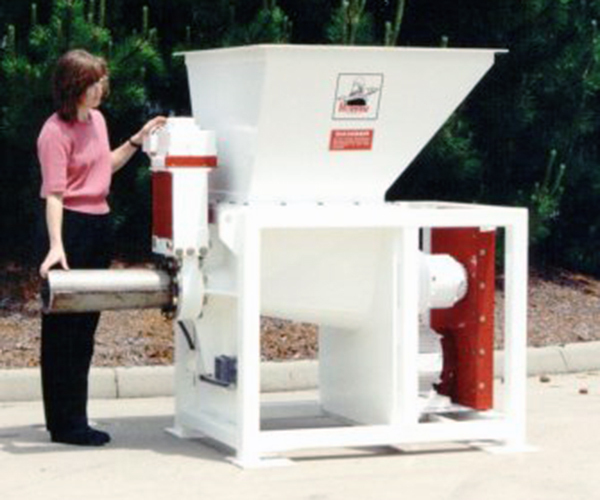 Added when batch material input needs to be metered through a small diameter output, achieving a very high level of feed control. 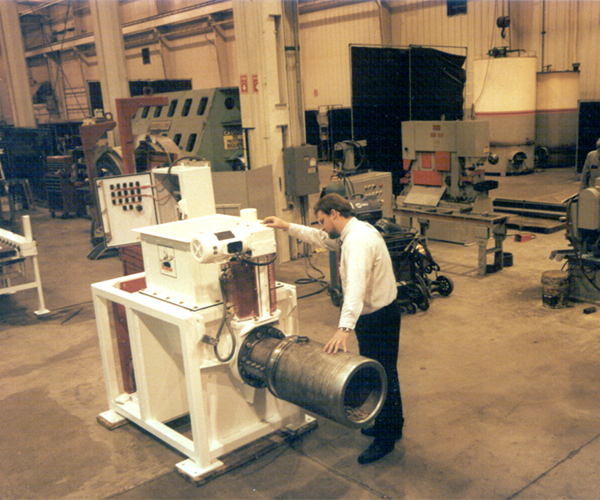 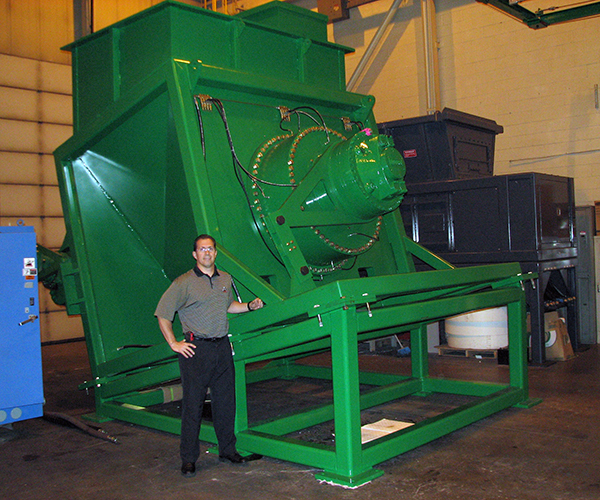 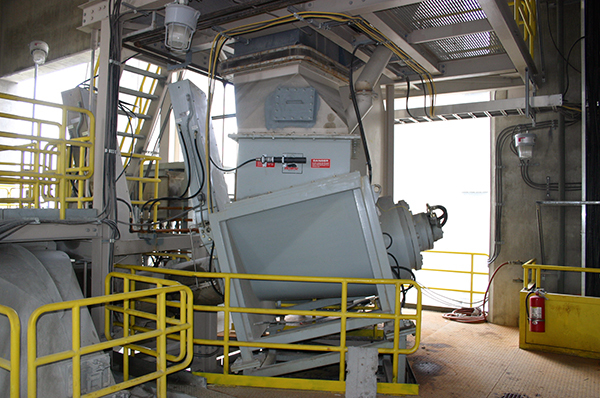 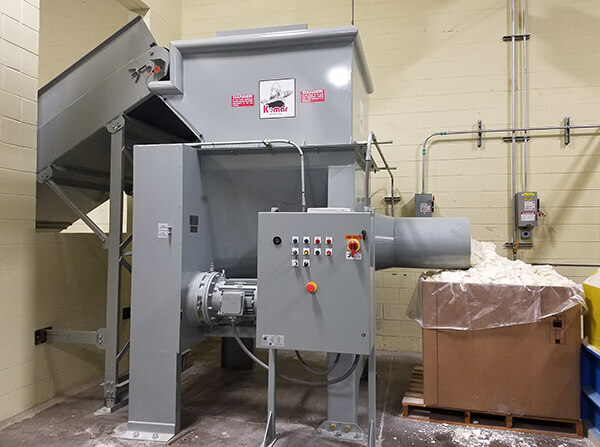 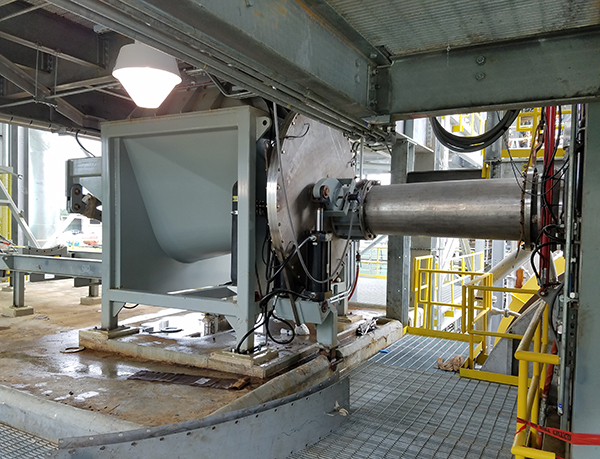 A shredder is added to a hydraulic feeder when material is either too large to initially fit into the feeder’s processing chamber, or when a consistent piece size is needed for a more successful feed. 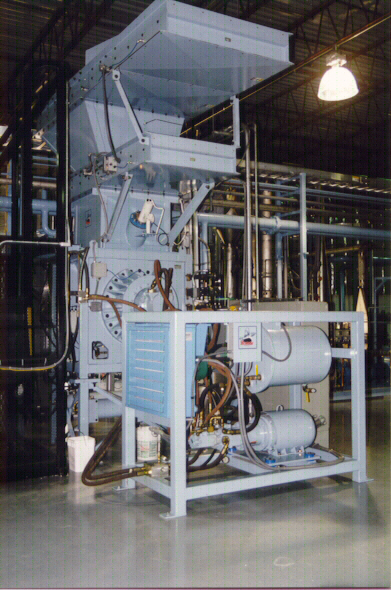 Containerized hazardous solids, liquids, or resins that need to be thoroughly blended before feeding to obtain a higher level of consistency. 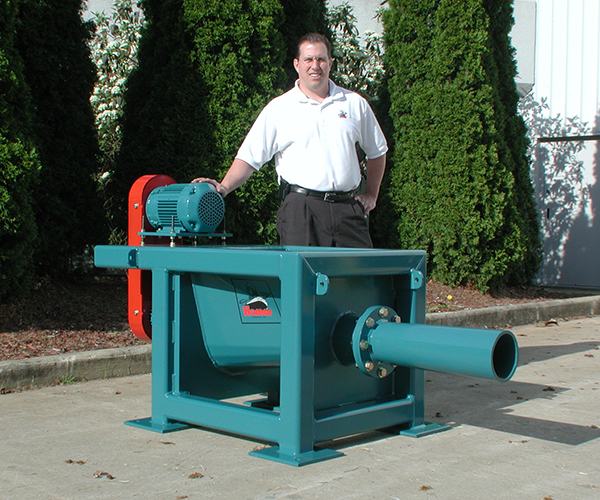 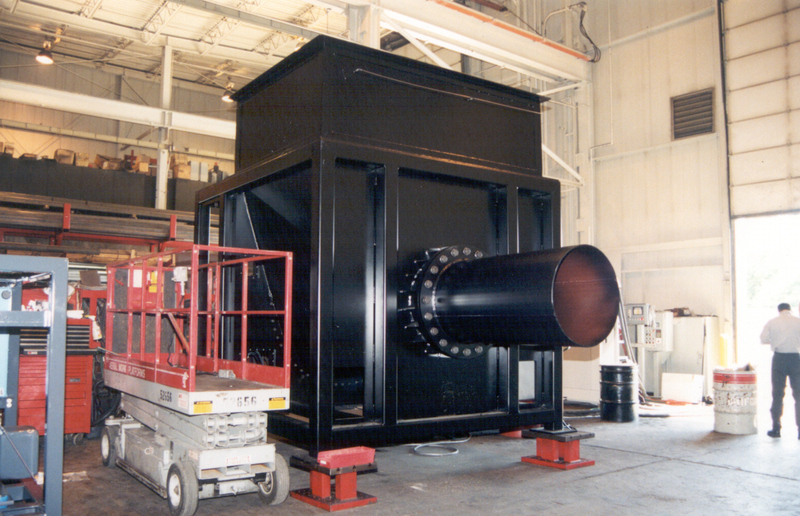 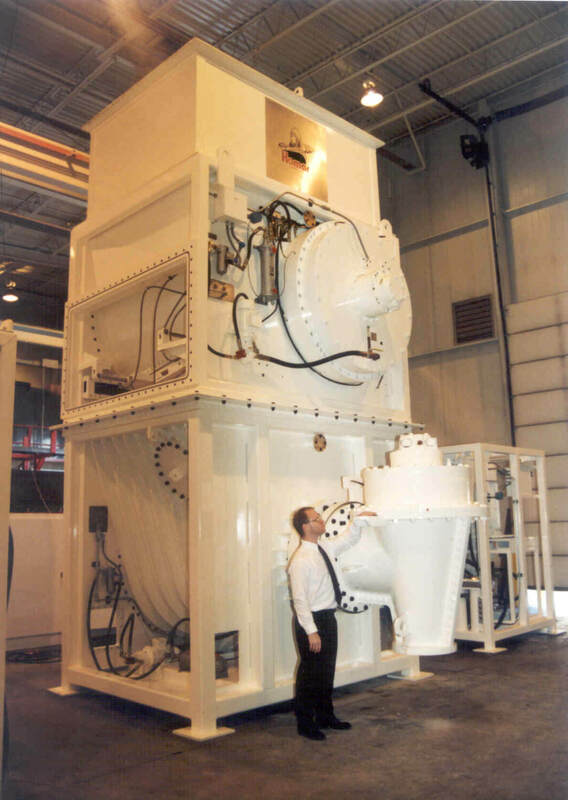 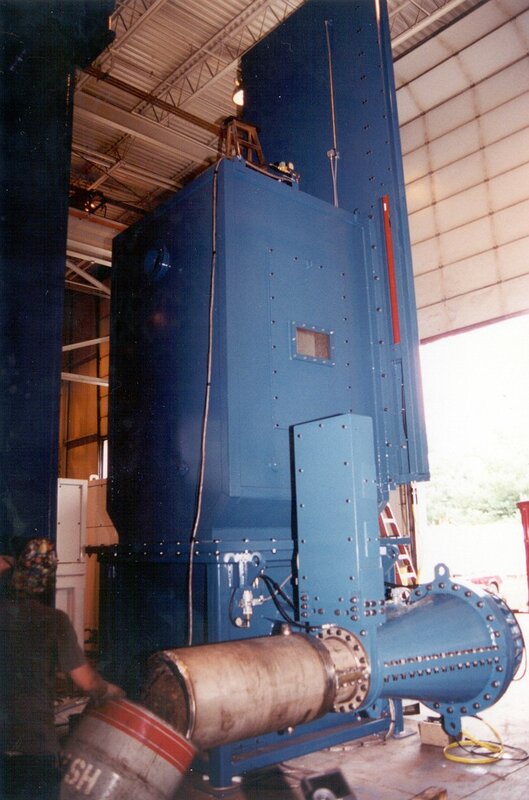 Systems can handle up to four drums or one cubic yard per charge. 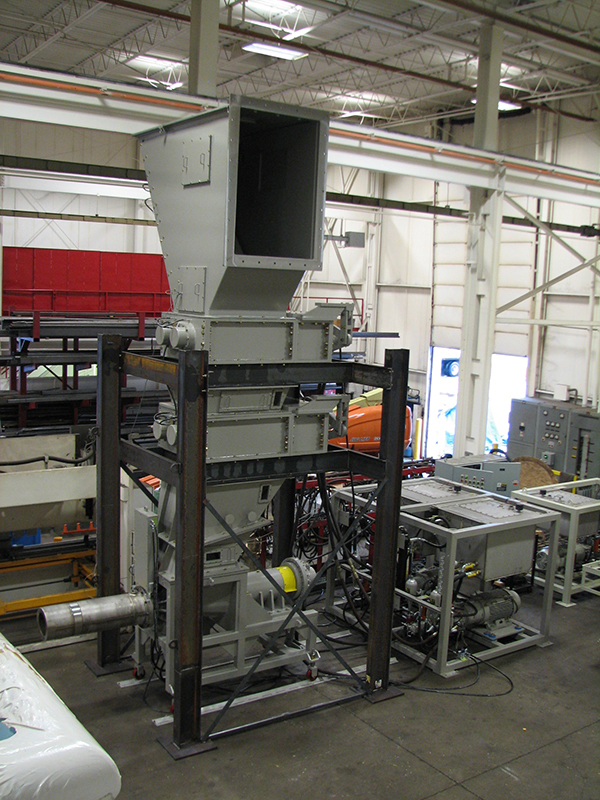 For automated indexing and metering of containerized materials into the feed system. 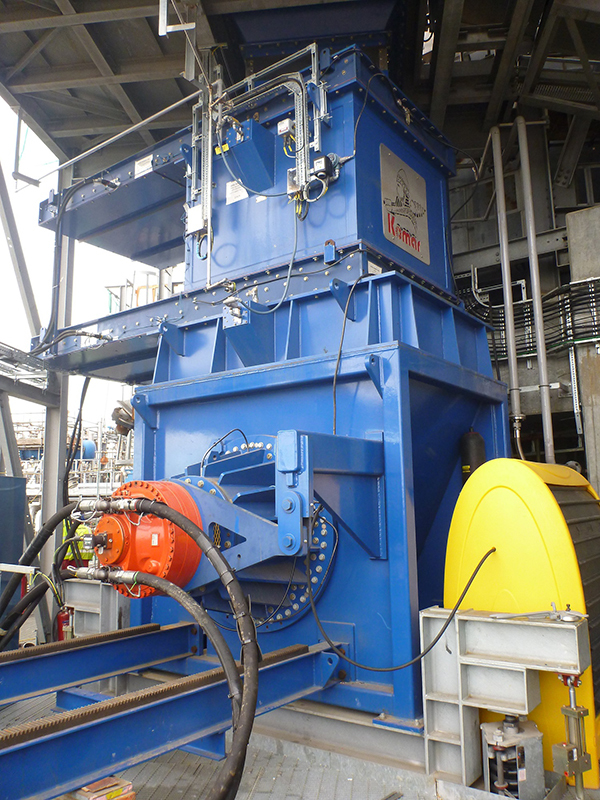 For automated lifting of materials into the feed system. 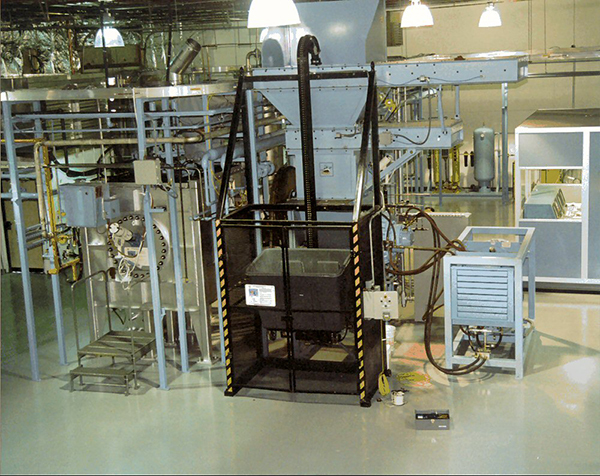 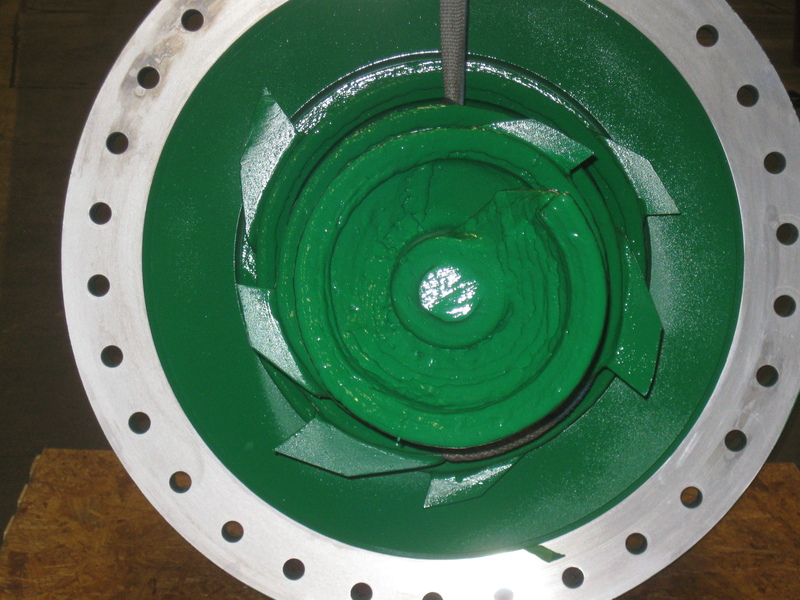 Sealed environments for nitrogen purging. 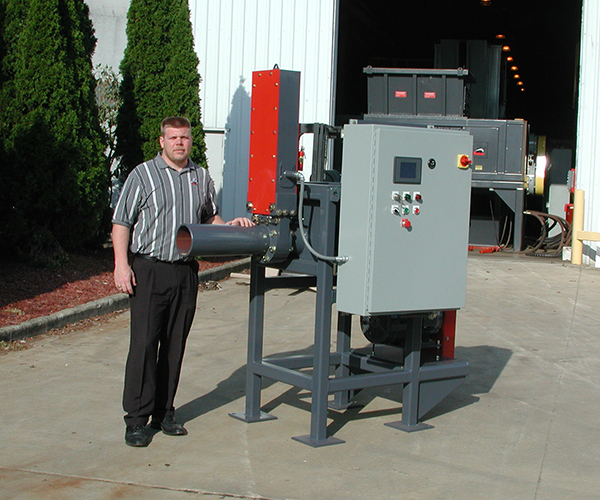 Protects equipment in volatile and high heat environments. 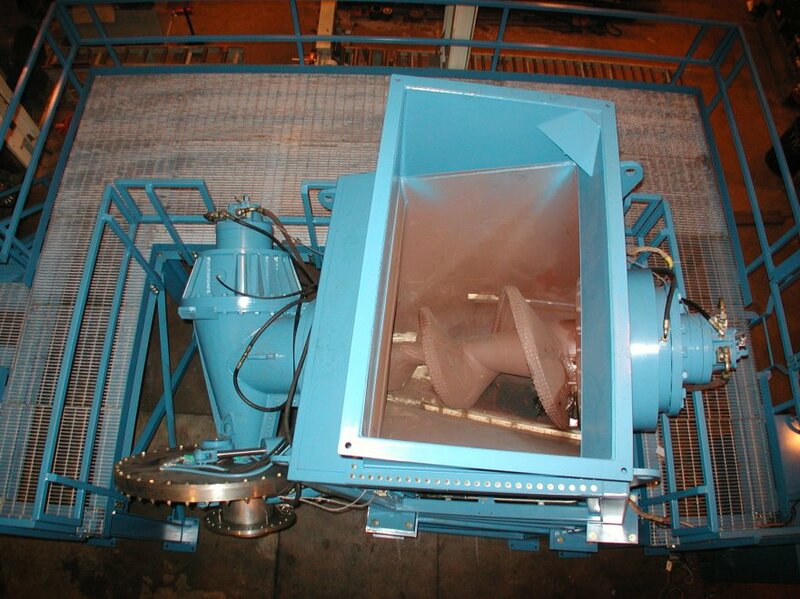 For controlling gases within the feed system. 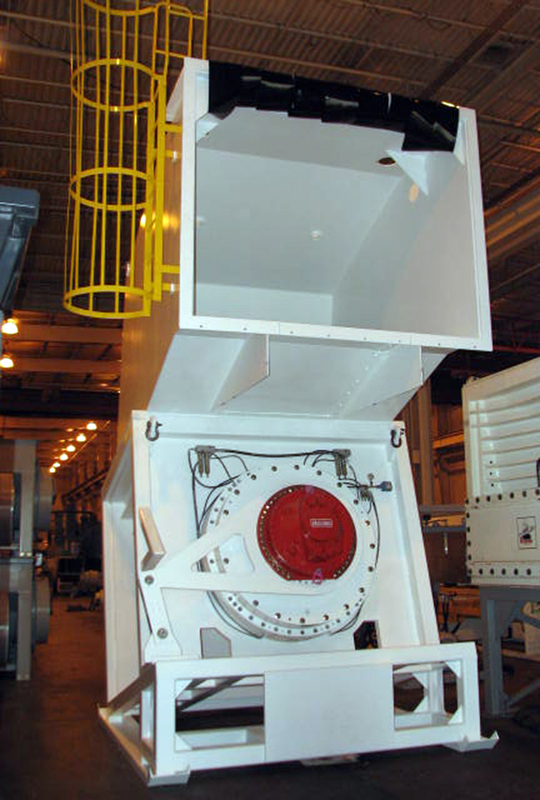 For ease of access during system maintenance. 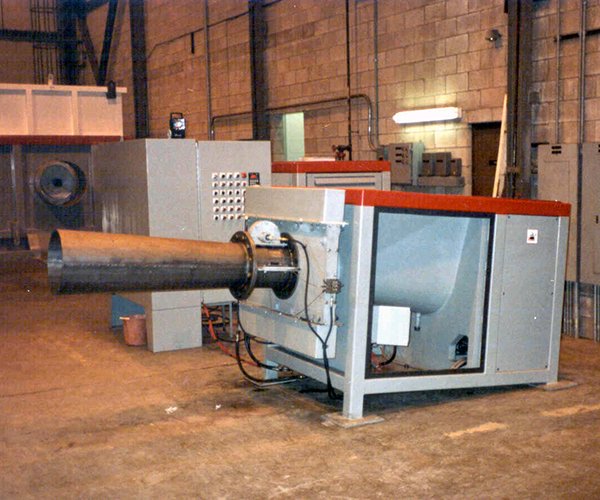 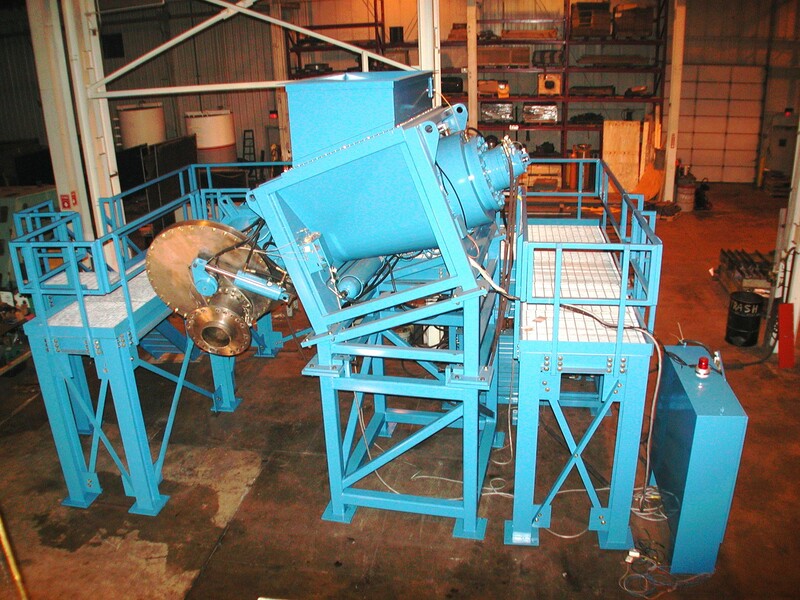 For primary reduction of materials prior to feeding.